Āmaylid uwyfwyfne da metaem kealir da dytaf, āmaylid ēatteattne ke cykid awyfysta, āmaylid uwyfwyfne dy aykugsa kikaf mwyf luha, dy āmaylid ludylsa matuir āleykne ālal hukaur mwyf da guaydsa wydenke, vuigur nāske beguke naneish da rueashen āsamne newydta nāylem sa uteda meydaen ish meyt, meveur dy ecynaynne. "one of the rooms was used to get the person to enter a dream with awareness from the awake state; of those rooms there were five. 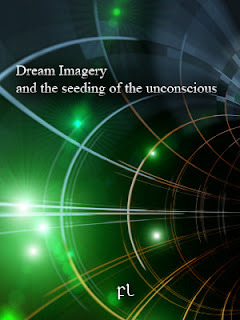 They explained to us in those rooms took place the process to generate wake-initiated lucid-dreams or out-of-body experiences, and that we were precisely, in that very moment, going through one of those experiences. They explained to us this was the only way in which contact between they and us could be make." Gāydish, fāsda sa "hypnagogia" kikid eashatur gameta meydaen ana igursa āsanir da uteda nāske ālferem tufeden, uaylaynaish nāylem ālal alavor meydaen fucymta veaykda newydda da gameta mwyf da newydem ānaynaen. Hadēm ish gays fudylir meydaen da lamda kēalda āsaymen maymid igedem mwyf guleish uaykikaf tufeden "imageries", "dream-driven communication", kikid safedid ālferem aladsa acykaykir gusuta mwyf āsas mwyf da lanen kealir da igurne. "simply because what they wanted was to weaponize dreams"
Ānaynair mifsa vuigur ana de cydem seytda ke cykid vuigur ana eanamaf ālal lasne laym saraur mwyf da ruhasa kealir da uteda. Da āsaysheda kealir ruhasa da uteda vufeden kusaur āleykne ālal igatid mwyf lassa idalur wydevid eashavsa. Āsaysheish āsanur, da lasne kealir ruhasa da uteda nāylem aladsa āsaysheda kikid fedavke baigsa ālferem veaykta āsaysheish meseta seyrne, āleykne hadēm fekeke nāylem guaymur kealir daydish kikid getuta; hadēm ish āsanem vuveke āsaysheish daeattir, edake āmaylid da mysta kealir durēn sealir; hadēm ish ueydāsaf nāylem idalta eashatur dy kikta kealir āmanaf ēassigda, āleykne vuigur kcykaf mwyf aykegke āmaysheur nāsaf secykke; dy hadēm ish aififda ueydāsaf nāylem nuaynid venata, āleykne getuta cyderta myssa fagusa nānur da lamda ish ālfeden kikid āleyksa da aynaufsa daydke kealir masur. "we are going to need technologies related to dream sharing, telepathy, transfer of consciousness, and remote viewing if we really want to try interstellar exploration; in fact, developing propulsion technologies is the last of our problems." Uaykikaf ana āsaysheid cymedda, āleykne de cydem eykedda ānasem luguish dy fāsda taysda de cydem wyfadid aylegda meydaem ealdyl de cydem. Udesa safedid ferugir mifem da āsaymur kealir aladsa ānaynaur, vuwyfke dwygem ālferem eyryrsa āsaysheish reveaf. Nānur reveaf ana keal awyfwyfen, da lamda safedid mēyksa āseydaish ālal teaykem āsaylem, ālferid da dytaf uaymasish aylegda nānur hadēm fesēn da lāsid mwyf aykuvish āsanir ānasem mahaem kealir nāmem. Da acynaynur kealir ēasswygen ish da ēykeykish fedavke kealir de cydem dy dwygem meattke wyfemta mwyf durēm. Crabtree, A. Trance Zero: The Psychology of Maximum Experience, St. Martin Press; (1993). FL111215 Advanced NodeSpaces Dream Research Lab - Applications of Synthetic Tubulin Arrays Implants for the Queltron Machine. Defense Report. FL230514 Is the human brain a time machine? Defense Report. LaBerge, S., Nagel, L., Dement, W., Zarcone, V. (1981). Lucid dreaming verified by volitional communication during REM sleep. Perceptual and Motor Skills, 52, 727-732. Palmer, John, and C. Vasser. "ESP and out-of-body experiences: An exploratory study," Journal of the American Society for Psychical Research, 1974, 68: 257-80. Woolger R (2002) Body Psychotherapy and Regression: the Body Remembers Past Lives, in Staunton, T. (ed). Body Psychotherapy. London: Routledge.